Well moulded parts with no sink marks or ejection pins to remove; flying surfaces with subtle rib detail and sharp trailing edges; decals in perfect register with minimal carrier film. A kit that provides a sound basis for an excellent replica of a much neglected 2-seater. A little bit of extra detailing won’t go amiss but it’s all within the grasp of any modeller that has made a WWI aircraft kit before. The Nieuport 2-seat “V” strutters” performed pretty well in the early stages of the war and served with a number of air arms. As well as France, they were operated by the RNAS, RFC, and Aviation militaire belge. Thanks to licence-built versions from Macchi and Duks, the Italians and Russians also used the type. 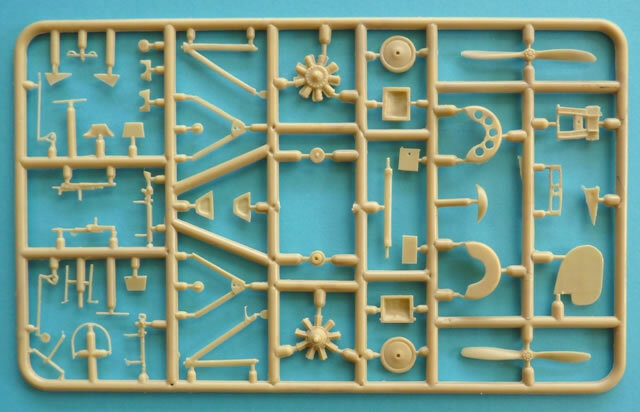 Inside the box are two tan coloured sprues that contain a total of 64 parts. There is only a minimum of flash on each item which is easily sanded off with a quick swipe of wet ‘n dry paper. 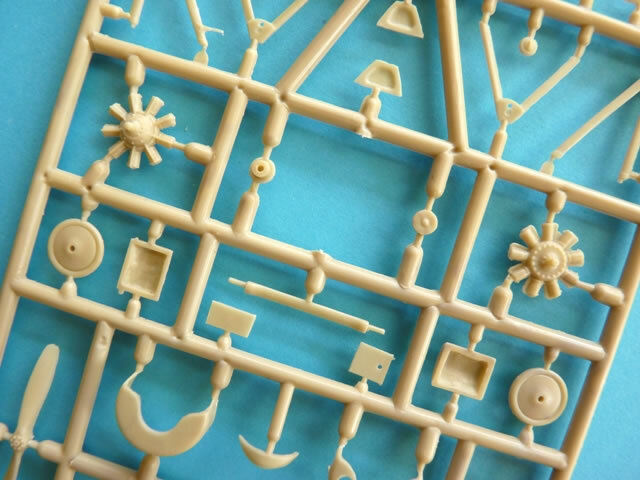 The parts are well moulded with no nasty sink marks or ejection pins to clean up. As far as accuracy goes, the kit scales out superbly to Ian Stair’s general arrangement drawings in the Albatros Productions Datafile on the subject. This was #68 in the series which was published in 1998. The cockpit is quite basic, as is the observer’s position. We get seats, rudder bar, control column and a modicum of interior structure, so there’s plenty of scope for the scratch builder. Fortunately these “offices” were rather sparse during the early days of aviation so not a lot is needed. After the fuselage halves are closed up, the upper decking fits between the inner struts. 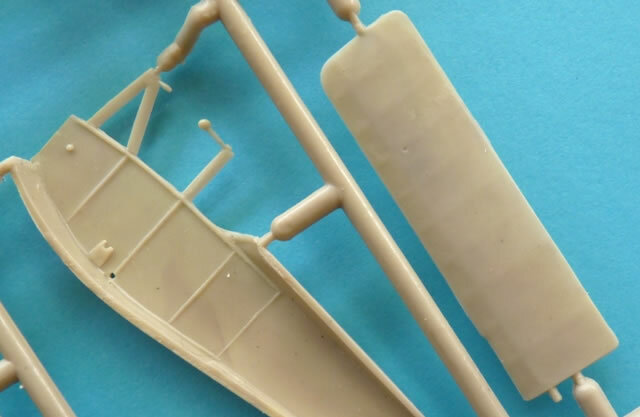 These latter items are moulded as part of each fuselage half which solves both alignment and strength problems. Kudos to HR Models for incorporating this engineering feature. Depending on your selected option, one needs to choose between different styles of windscreen. These are patterned on an acetate sheet so make sure you have a fresh scalpel blade to successfully remove them. There’s more decision making when it comes to the upper wing. This is in 3 parts and the type of centre section will depend on whether or not your subject has the short lived circular cut-out. This opening allowed the observer to stand up and man a machine gun during combat. 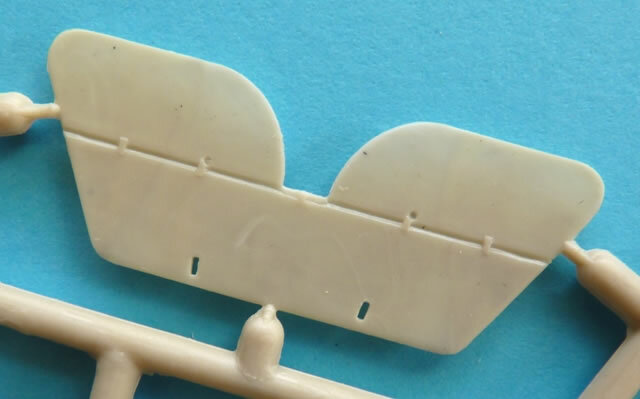 The lower wings will need pinning for extra strength but this is well within the capabilities of most modellers. Just be sure to set the correct dihedral. All of the flying surfaces exhibit subtle rib detail and sharp trailing edges. The rest of the assembly sequence is standard for the type. 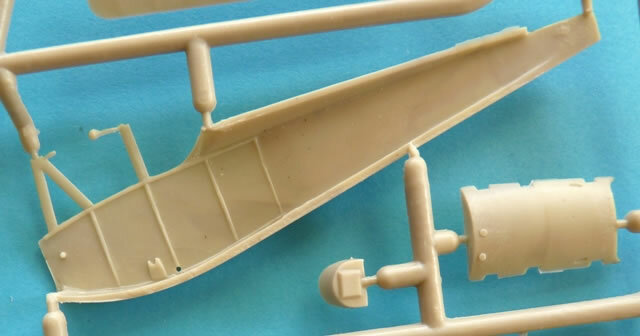 The engine sits inside a single-piece horseshoe cowl, the “V” struts fit comfortably between the wings, and the undercarriage locates into slots that need to be enhanced by the modeller. 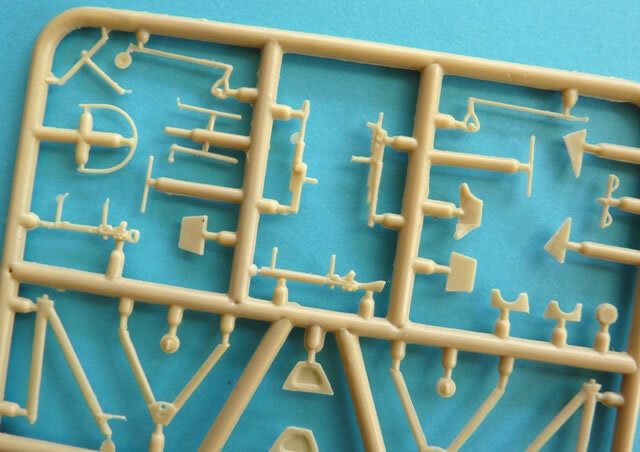 The instructions are clear enough to adequately assemble the kit but those looking for a rigging diagram will need to go elsewhere. 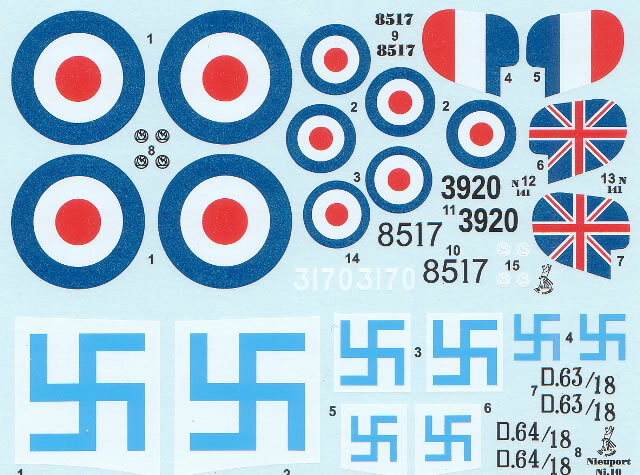 The decal sheet contains options for 6 aircraft. Each item is printed in perfect register with minimal carrier film. Nieuport 10, serial unknown, Russian origin (Dux Factory), Lappeenranta Base 1918 – 1919 Finland. 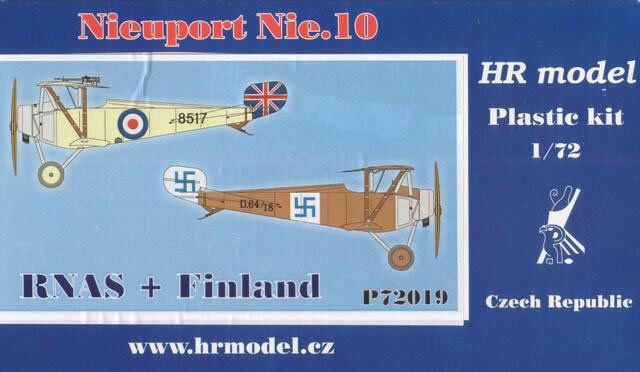 This is another excellent little kit from HR Models. Only minimal cleaning up of the parts is required but be careful as some of the items are fragile. This isn’t a bad thing though as it shows that the manufacturer is striving to keep everything in scale. The result is a package that gives the modeller everything they need to build an accurate portrayal of an often neglected 2-seater. Thanks to hobbyshop.cz for the review samples.